The street was littered and unkempt, and my heart thundered as walked down it quickly, my eyes darting back and forth, taking note of every face. It took me a moment to spot him, a wiry man with curly dark hair in a threadbare brown jacket, patched at the elbows. There in his buttonhole was the blue paper flower that marked his profession. He wasn’t my usual—my usual was captured, or killed maybe, by now, though I pushed the thought away. I hated going up to strangers. No one liked it nowadays. But there was no choice in it for me today. As I got nearer the man, I made the sign that I wanted to make a transaction—I took my hat off and rolled it in my hands. I only ever wore a hat to take it off as a symbol. Tales From the Hollow Tree Bloghop Finale! Well, here it is, the last day of the blog hop, and your chance to fill in the secret keywords that you’ve been collecting all week! And just what is the prize you’ll be trying to win? 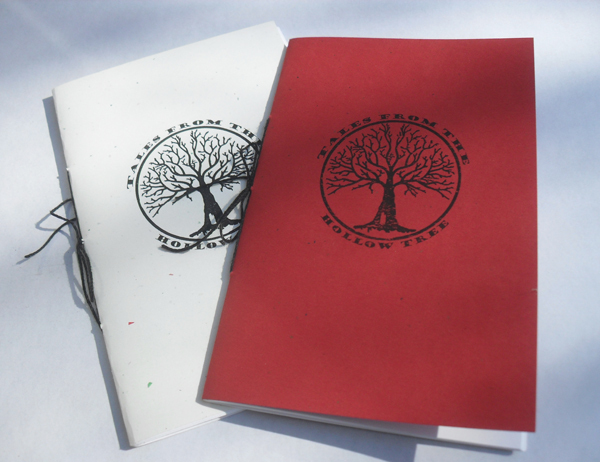 We have some awesome Tales From the Hollow Tree swag to give away! Two notebooks, hand bound by Lisa herself will go to one awesome follower! Besides that, we’ll be giving away THREE more copies of our special edition PDF! Leave a comment and fill out the form below! Look through the last few entries of this blog to find the secret keywords!!! 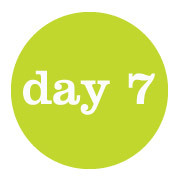 Day Seven of the Hollow Tree Giveaway! For your third chance to win a .pdf of Tales From the Hollow Tree, and today’s secret keyword, head over to our friend Cathy Witbeck’s blog! Check out our blog Friday for more info on our GRAND PRIZE! Winners announced this weekend. 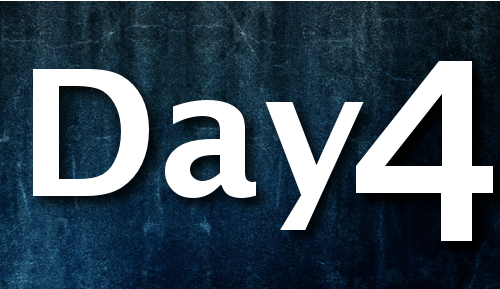 Day Four of the Hollow Tree Giveaway! For your fourth chance to win a .pdf of Tales From the Hollow Tree, and today’s secret keyword, head over to Lisa Asanuma‘s own blog! Don’t want to miss out on any of the blog hop days? Make sure to follow us on Facebook and on Twitter! Day Two of the Hollow Tree Giveaway! Hey hoppers! Sorry to get this up so late, I’m in a McDonald’s in Tucson as my hotel’s wifi wasn’t working last night. 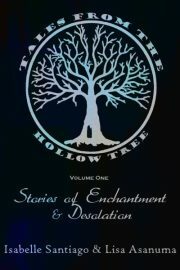 For your second chance to win a .pdf of Tales From the Hollow Tree, head over to our friend Taryn Taylor’s blog! I found her sitting on the edge of the little bridge near our house when I was seven. 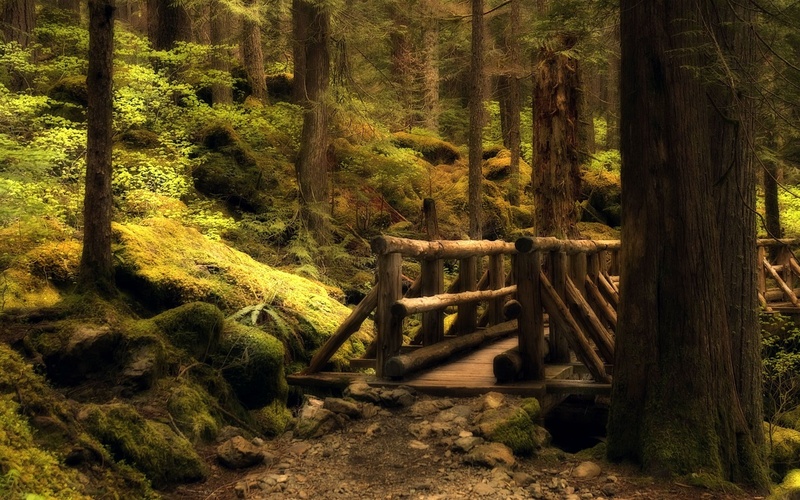 I wasn’t supposed to go down by the bridge alone—it was small, but the stream it ran over was deep enough, and fast moving—but I went anyhow, usually on my way home from school. The bus dropped me off far up a private road, and I walked up the road all by myself, very adult-like, so why couldn’t I go walk by a bridge if I wanted to? The girl’s name was Lilly, and she always wore a white dress. Crisp and clean cotton, with starched lace on the collar. I thought it was the most beautiful thing I’d ever seen—but then I was seven. She was so happy to see me! She’d ask me about my day at school and listen to absolutely anything I had to say, even something as silly as how Tommy Walker had stuck his gum in Myra Boning’s hair, and she’d come back to school with all of it chopped off. Mom didn’t like listening to those kinds of things, but Lilly would laugh and laugh, and ask for more stories. She was desperate for stories, she’d tell me. Lilly was eleven, and she didn’t like to tell stories. When I asked about her family, she told me crossly that it wasn’t polite to ask personal questions, and when I reminded her that she knew all about my life, it seemed like she was going to maybe tell me, but instead she went down by the shore and started splashing in the water. She called for me to come down with her. I really wasn’t supposed to go down to the shore by myself, but Lilly called again, and when I still didn’t go, she asked if I was a baby, so I went. I wasn’t a baby. Our days and days went back and forth. Some days we played in the stream, some days we explored the woods surrounding us, and some days we just sat and talked and talked. No matter what she did, her dress always stayed perfectly white. I was jealous because my clothes always managed to get dirty and wet, and I got in trouble for it. Lilly never did. Mom knew I’d been down to the river, and sometimes she’d ground me for it, asking me why I would do something like that when everyone knew it was so dangerous? Lilly didn’t like it when I was grounded—she’d get mad, but she also wouldn’t stop getting me into trouble.